Air Hockey. In space. With power-ups! This game is free and without advertisements in all platforms. If you like it, consider visiting Itch.io and making a small donation using the support button. 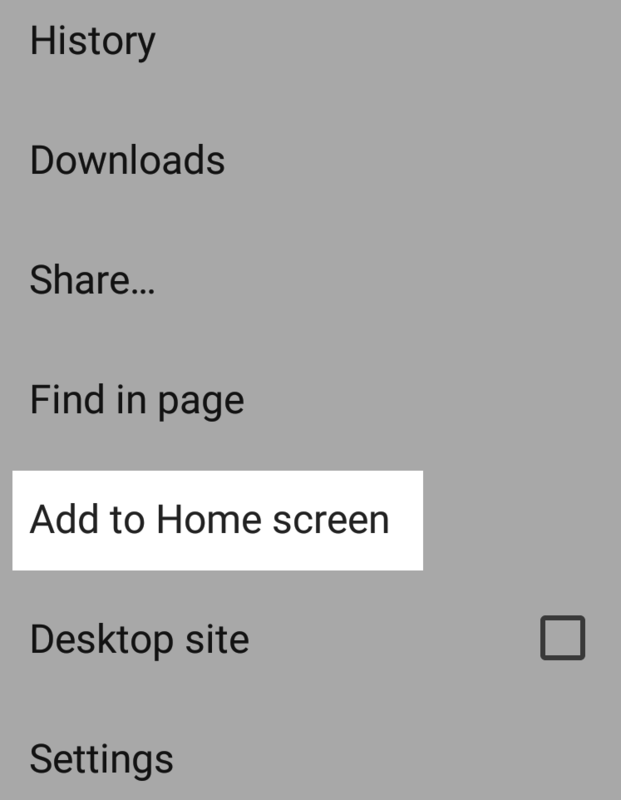 If you want to intall the game for offline play on your mobile device home screen follow the instructions for your device. The game was desinged for multitouch devices but you can play the 1-player mode with the mouse. 1. Click "Play now" at the bottom of this page. 2. Click on the menu button on the top right. 3. 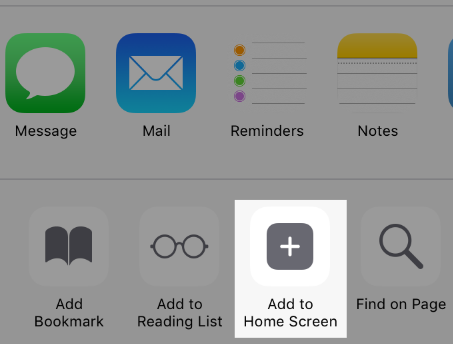 Click "Add to Home screen". 4. Change the name if you want and click "Add". 2. Click on the share button at the bottom. 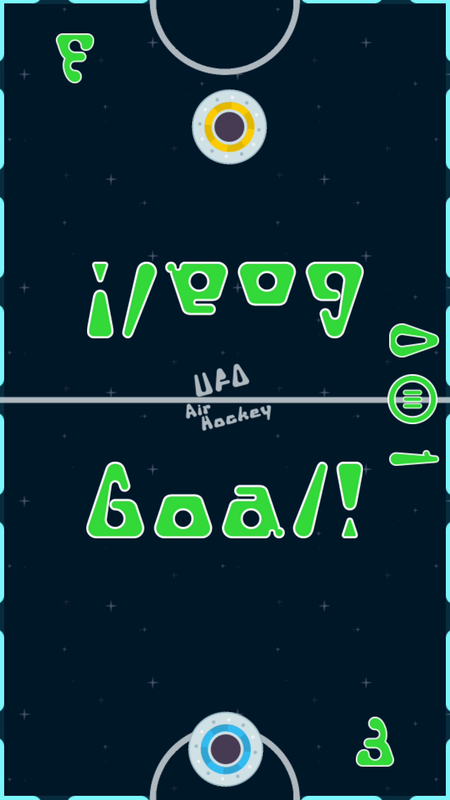 Ufo Air Hockey is an exciting, air hockey inspired game, set in space. Experience thrilling, fast paced gameplay. 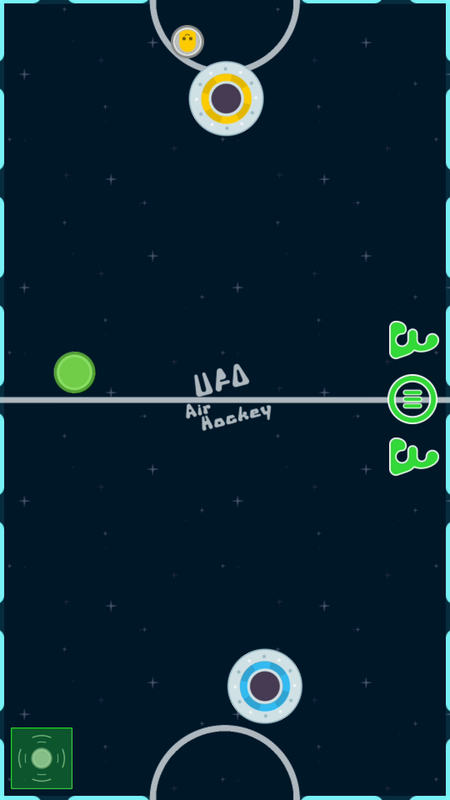 Use power-ups to grow your saucer, add a goalie, add extra pucks or change the puck material to rubber. Play solo or with a friend in the same device. 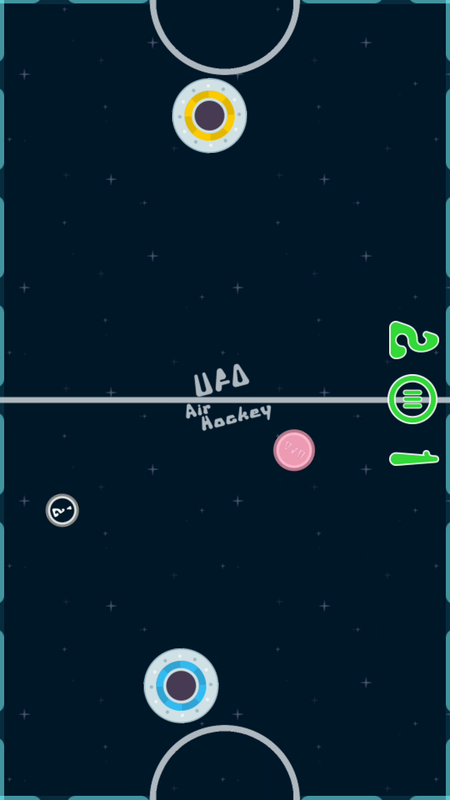 A physics engine is used for realistic collisions and puck behavior. Subscribe to receive news about Ufo Air Hockey and my other projects. Feel free to email me or use the contact form to provide some feedback or suggestions.